MILFORD, Mass. – Even though it’s just the second week of the season, Milford found themselves in a familiar position. But this time, they proved they had learned their lesson. 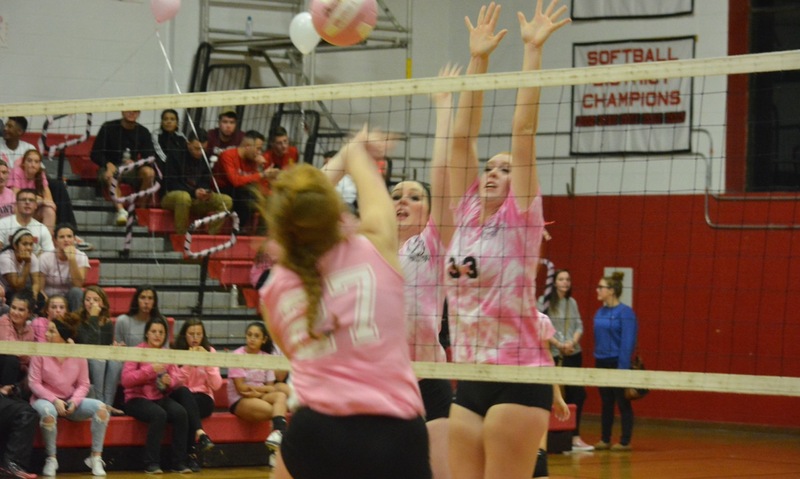 The Scarlet Hawks won the first two sets of the match for the third straight game, but unlike their loss to King Philip last week, Milford was able to finish off Franklin to get a 3-1 win. Milford took a thrilling first set, 29-27, and followed with an impressive 25-15 win in the second set. Franklin rallied to win the third set, 25-21, giving the visitors a bit of momentum. Last week, KP won the third set in similar fashion (25-17) and used that momentum to go on and win the fourth and final set to get the win. Zacchilli and Milford weren’t going to let that happen again, the lesson had been learned. Franklin battled back from a 24-20 deficit in the first set to force a seesaw affair but Lauren Zouranjian’s ace finally gave the Scarlet Hawks the win 29-27. It was all Milford in the second set, racing out to a 8-2 lead following an ace from Jane Schuler, and kills from Stefani Chiarelli and Kelley Reichert. The Scarlet Hawks built a double-digit lead at 20-10 off an ace from Ally Zagami and went up 24-10 when Zagami registered two more aces. Franklin rallied for five straight points but Milford took the set 25-15. The Panthers raced out to a 4-0 lead in the fourth game, a cushion that they kept the rest of the way. 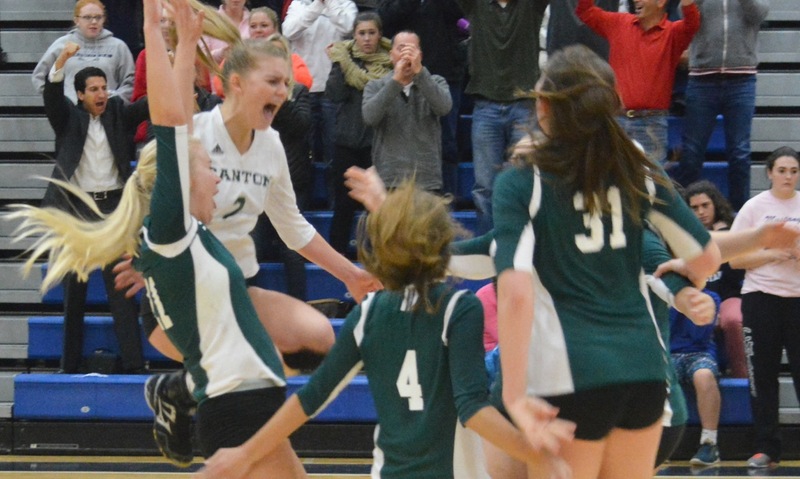 Franklin went up 24-16 before Milford rallied for five straight points to try and get back in it, but sophomore Maggie Doyle earned the set point with a kill for the Panthers. 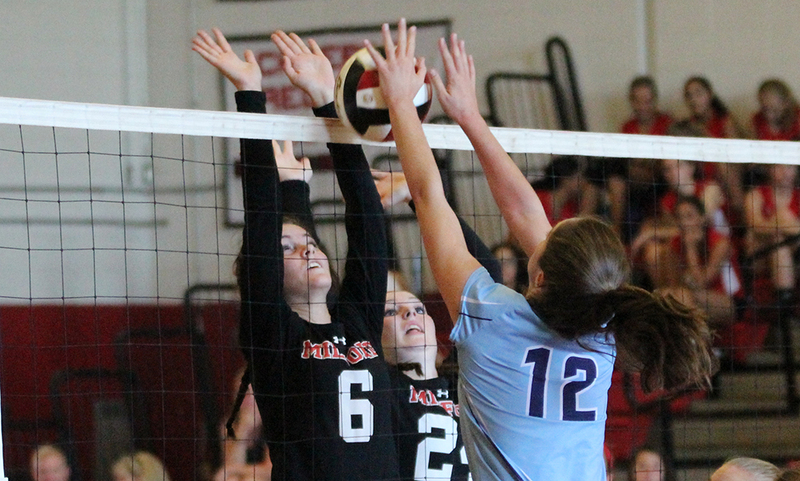 Milford took care of business in the fourth set, slowly building a four point lead (9-5). 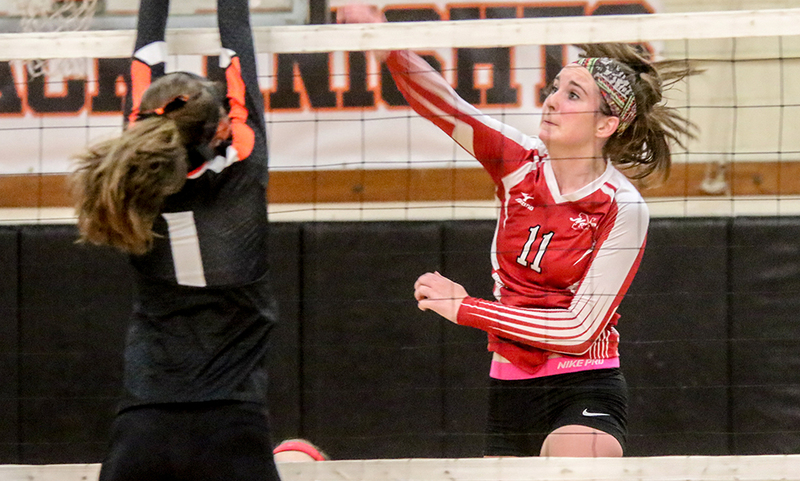 The Scarlet Hawks really put things out of reach for Franklin with a 17-5 run, highlighted by kills from Kate Lobisser, Chiarelli and the final one from Reichert to get the win, 25-13. Reichert finished with a team-high 11 kills while Chiarelli had nine kills and Zagami had seven. Zagami (four aces) also led the Scarlet Hawks with 17 digs while Kyra Alves had 14 digs, and Allie Collins (18 assists) had 13 digs. “We had some players really step up too,” Zacchilli said. “I thought Chiarelli probably had her best game, both Zagami and Reichert, they were very steady for us on the outside and in backcourt defense. They really did a nice job passing and serving, they both served tough. 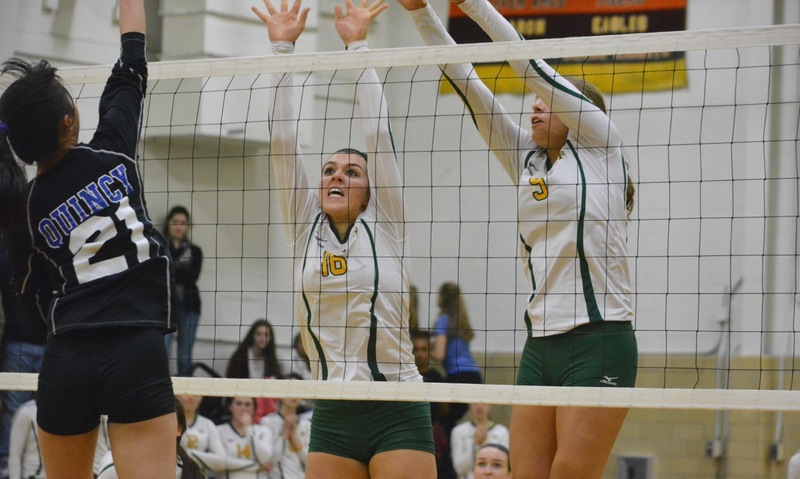 Erin Skidmore had six kills and a pair of aces for the Panthers, Maggie Doyle added six kills and Meghan Maguire had three kills and four blocks. Milford volleyball (2-1, 1-1) travels to Taunton on Wednesday evening while Franklin (1-1, 1-1) will try to bounce back the same day when they host Foxboro.